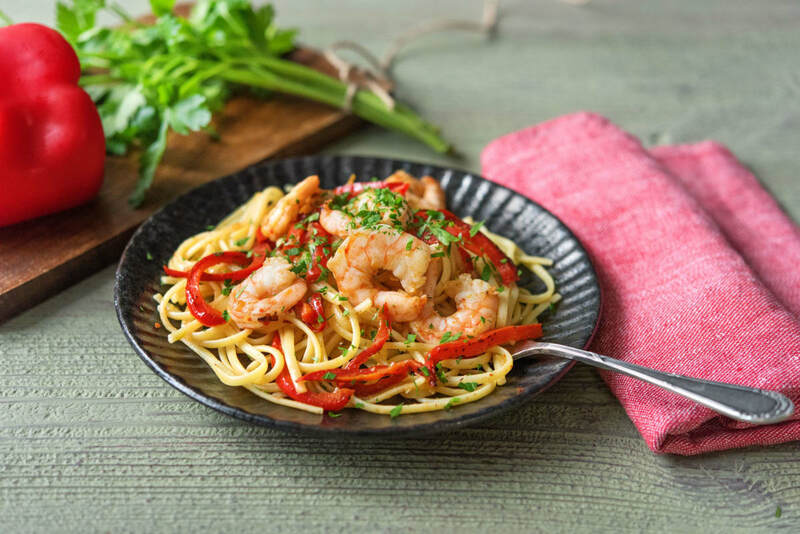 Once upon a time, way before seafood buffets existed, there was an Italian predecessor of this dish that featured scampi, lobster-like creatures that we know as langoustines. It was only after immigrants brought it over to America that shrimp were swapped in and tacked on to the name. We’re shaking things up once again, adding in red bell peppers. They not only provide a veggie boost, but also a natural sweetness that cuts through the buttery richness and garlicky funk. Wash and dry all produce. Bring water and a large pinch of salt to a boil in a large pot. Mince or grate garlic. Halve, peel, and mince shallot. Finely chop parsley. Zest and halve lemons. 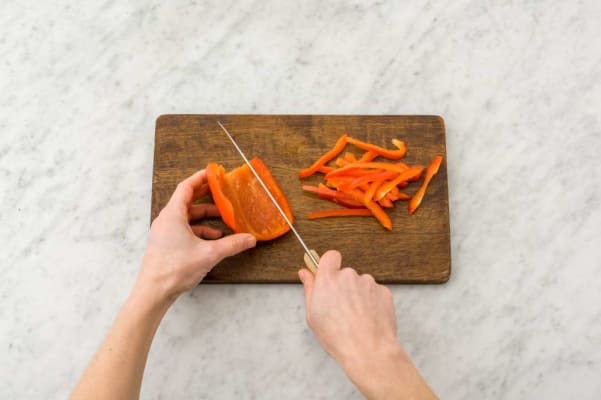 Core, seed, and thinly slice bell pepper. Heat a large drizzle of olive oil in a large pan over medium-high heat. Add bell pepper and cook until lightly caramelized, 7-8 minutes, tossing occasionally. Season with salt and pepper. 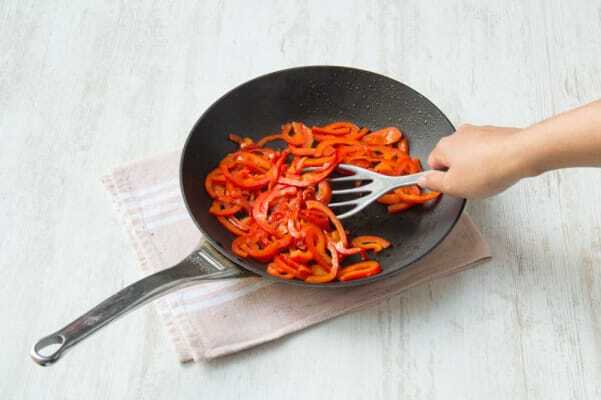 Remove bell pepper from pan and set aside. 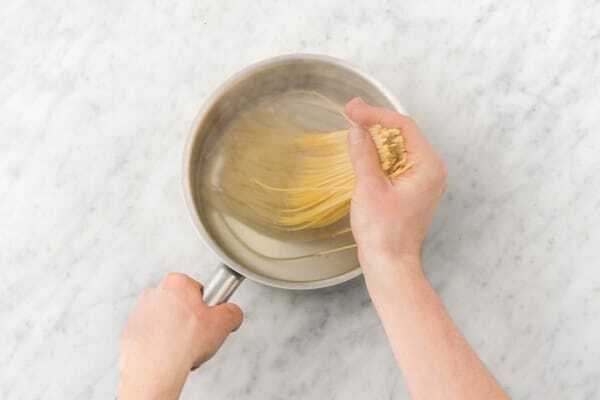 Add linguine to boiling water and cook until al dente, 9-11 minutes. Drain, reserving ½ cup pasta water. 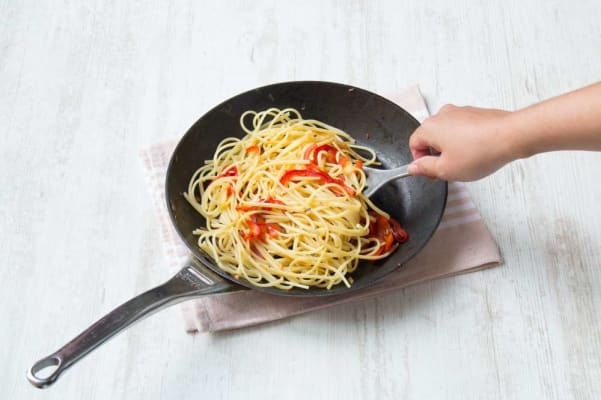 Heat another large drizzle of olive oil in same pan used for bell pepper over medium heat. Add shallot, garlic, and as much of the chili flakes as you like. Cook and toss until softened, 3-4 minutes. 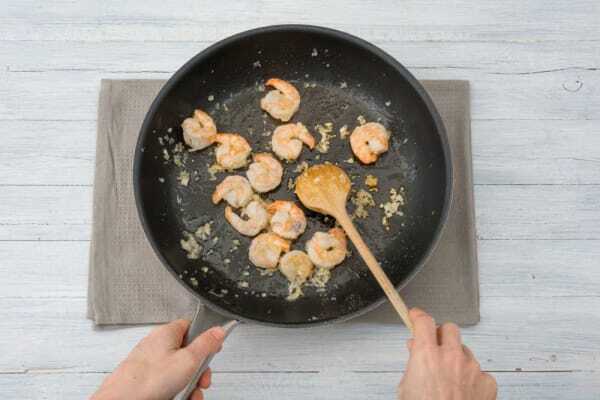 Add shrimp to pan and cook until just opaque, 2-3 minutes. Season with salt and pepper. Add drained linguine, reserved bell pepper, reserved pasta water, lemon zest, a squeeze of lemon, and 2 TBSP butter to pan with shrimp. Toss until butter is melted and shrimp are fully cooked, 1-2 minutes. Season with salt and pepper. 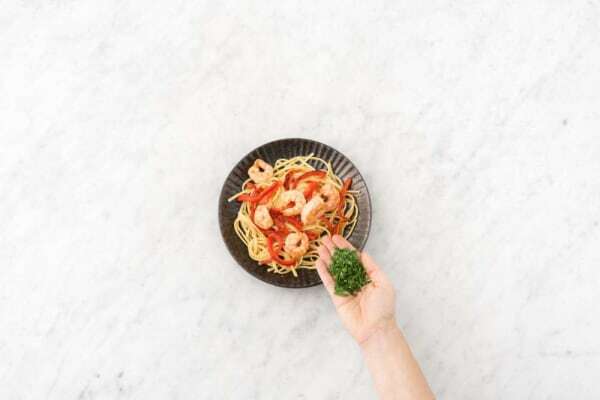 Divide shrimp and linguine between plates. Sprinkle with chopped parsley and serve.